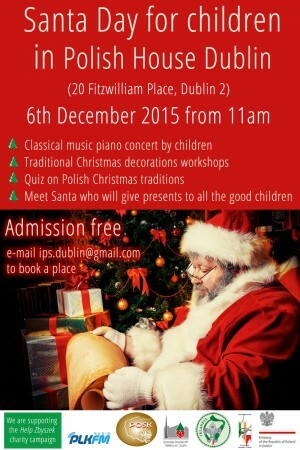 On behalf of the Irish Polish Society and the Polish Scouting Association we would like to invite you to Santa Day for children – Polish House, 20 Fitzwilliam Place, D2 on Sunday, 6th of December 2015. Admission is free but please email ips.dublin@gmail.com by or on Thursday 3rd of Dec to book your place (please state number and age of children participating). 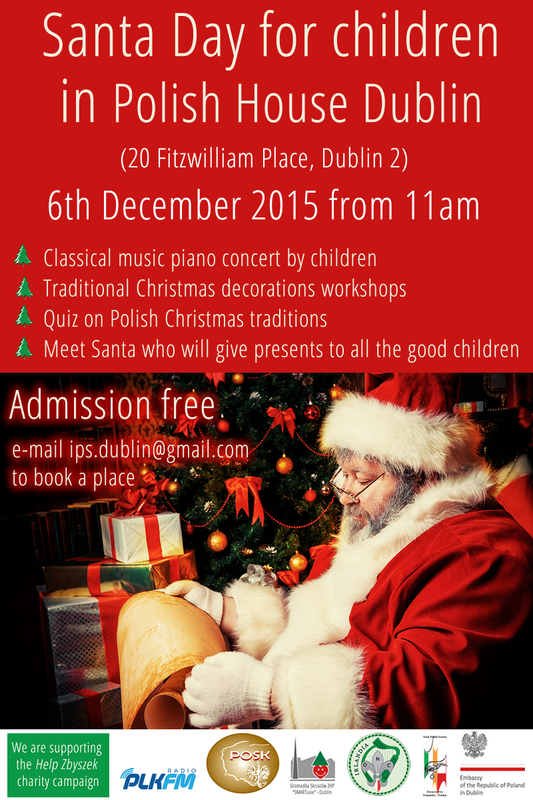 The event will start on Sunday at 11am sharp with classical music piano concert by children followed by a traditional Christmas decorations workshop and quiz on Polish Christmas traditions. Afterwords children will get a chance to meet Santa who will give presents. During the event we will also support the Help Zbyszek charity campaign. Zbyszek is 22 and since he was 16 he is fighting a brain tumor. He is the father of a 3 month old Zuzia and every donation for his treatment increases his chance of survival.